I noticed that in a lot of my articles, especially those about shopping, I mention Etsy as one of my all time favorite online shopping sites. This most definitely hasn’t changed, so I thought it deserved an article all its own. I’ll talk about how it works, the awesome stuff you can find there (in a word, everything), my favorite shops and stuff I’ve bought, and a little extra fun. I first discovered this site when I became a member of Offbeat Bride, an online community for non-cookie cutter people who want non-cookie cutter weddings. 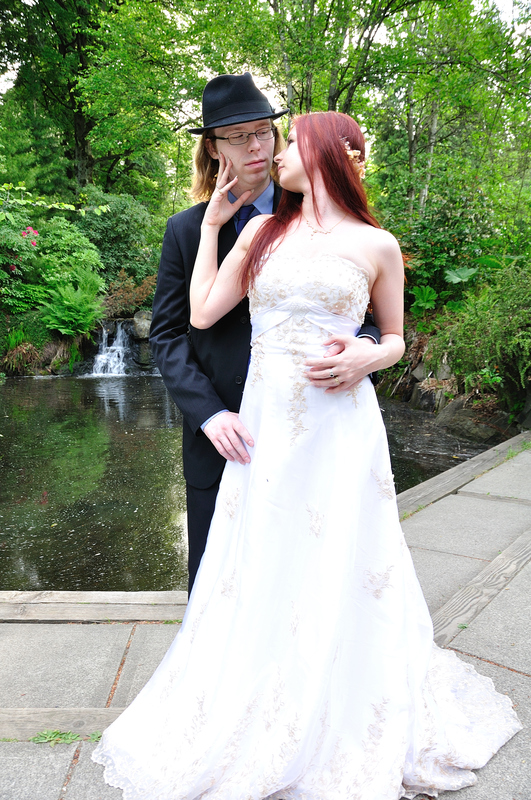 Actually, I discovered a lot of my favorite shops when I was planning my wedding. All the girls raved about Etsy constantly, so I had to check it out. I’ve been hooked ever since. As I’ve said many times, it’s like Ebay in that it’s a site that hosts countless shops held by individuals. The difference it’s all about vintage and handmade items, so everything available is unique, and there’s no bidding. You can find EVERYTHING here, from the stupid, ridiculous, hilarious, amazing, useless, perfect, gorgeous, clever, and everything you never thought you needed SO badly. Best. Site. Ever. Want to see some of the things I’ve bought as an example? If you like what you see, click the pictures for links to the shops. This is the first thing I bought besides a pendant made of watch parts. 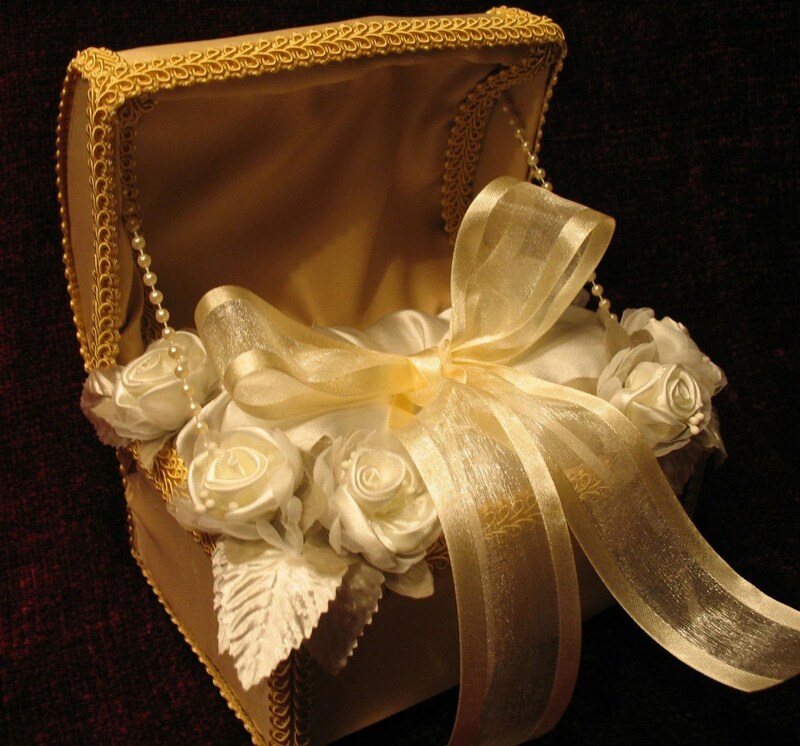 It’s an alternative to a ring bearer pillow, made like a treasure chest. 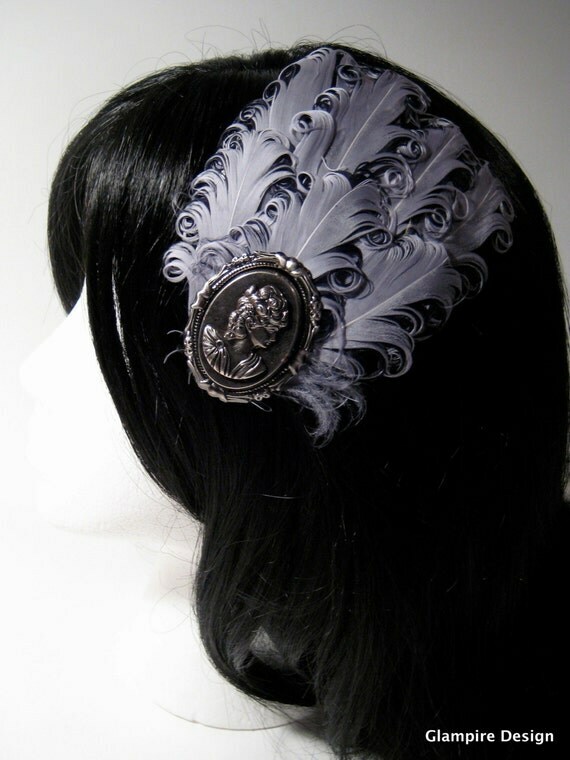 I found it so perfect and elegant, and so unique. The seller added red roses at my request. I now keep it on display in my living room. These earrings are really simple, and really pretty. They go with everything. EIGHT bucks. 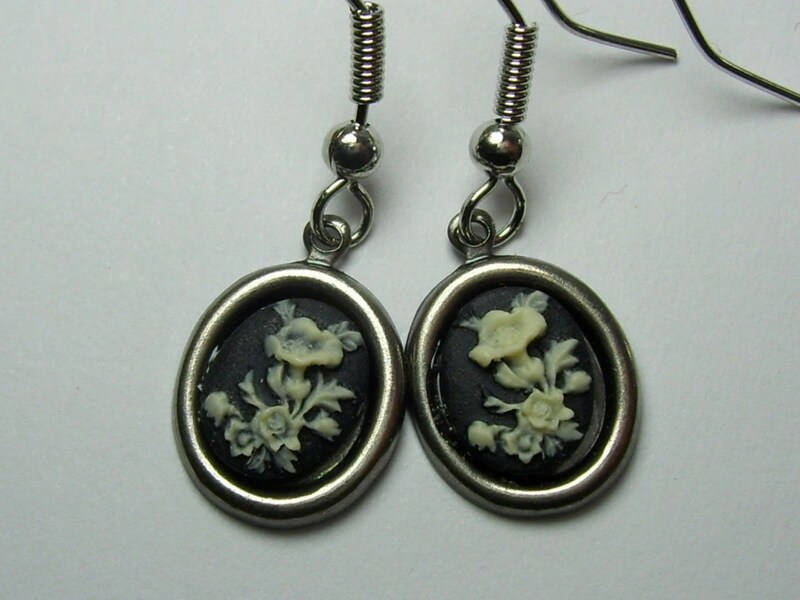 The shop is one of my favorites for elegant steampunk jewelry. 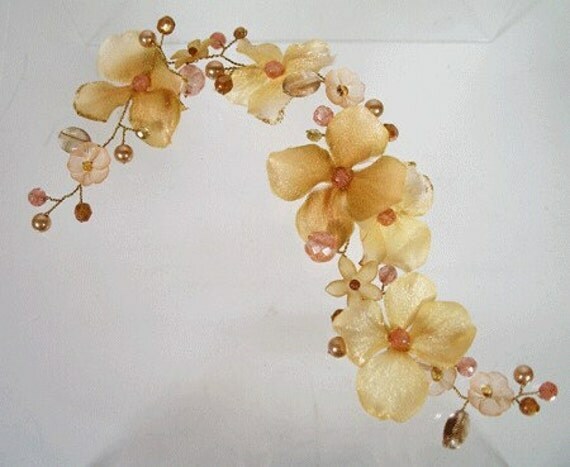 This is a beautiful gold hair vine with pink accents I wore on my wedding day instead of a veil. It’s made of wire so you can bend it to work any way you want. Around a bun, horizontally across the back, along a french twist; the possibilities are endless. Unfortunately the shop no longer seems to exist, but there are a lot of shops selling similar items still out there. This soft shrug was bought just in case it rained on our wedding day. This was also custom made for me in a vanilla color. A while later the name of the shop, Pinar Eris, was bugging me, because it was just so familiar. So I plugged it into my trusty Wikipedia and read that this designer has actually made dresses for the Oscars. How amazing is that? 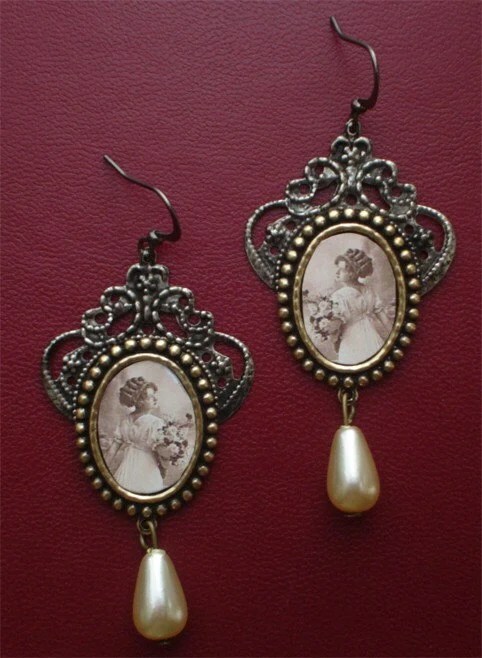 From Poppenkraal, another great shop for gorgeous Victorian and Steampunk style jewelry, fancier than London’s Gate. Now you tell me where else you could ever find earrings like this. This here is a perfect example of what we here on Etsy call “upcycled.” It’s like recycled, but it’s just been revamped to be made better, not something entirely different. 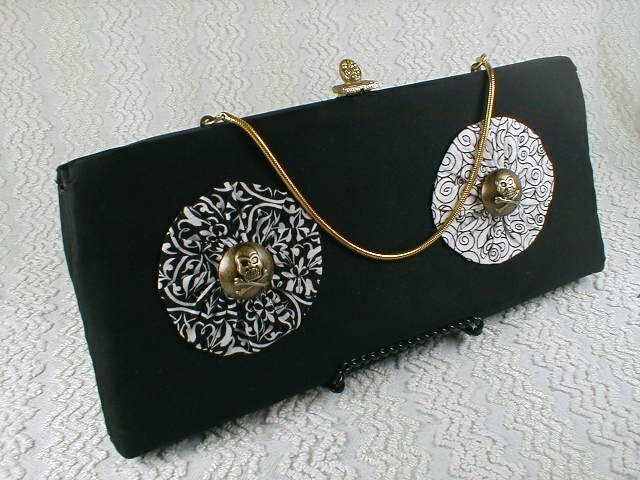 This lovely item is a pimped out vintage clutch. It’s too much fun. 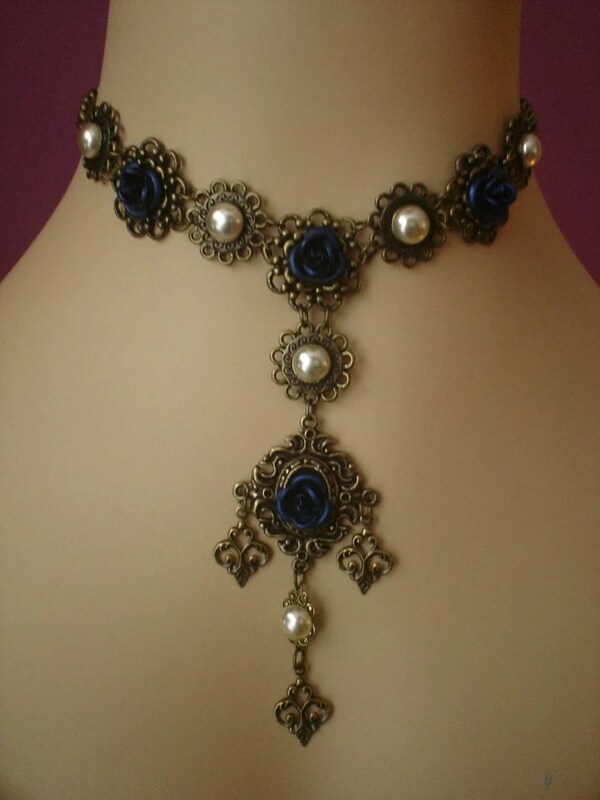 This amazing Victorian necklace is another purchase from Poppenkraal, and was only $35. It even came with extra beads in case any fell off. So far, they haven’t. My first vintage dress. It’s too big, and I knew it would be. Maybe I’ll have it tailored down – in a temporary way, I wouldn’t want to damage it. 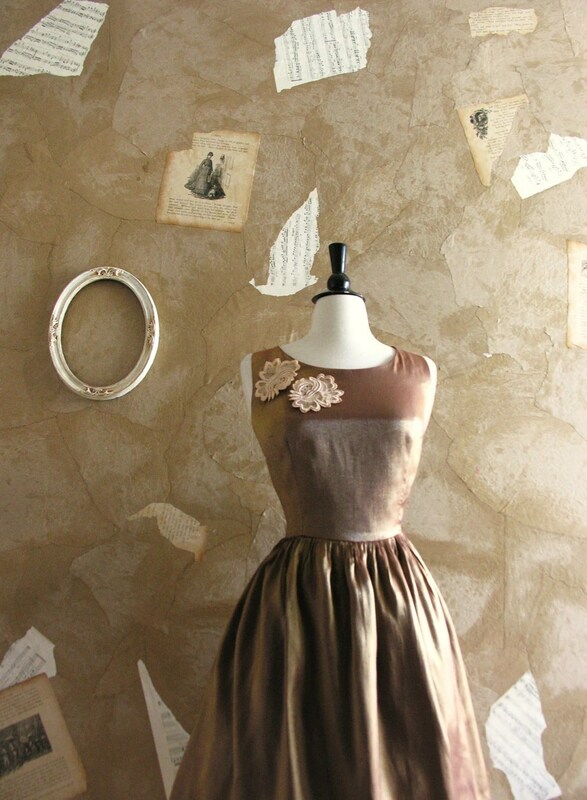 Even so, I’m in love with this dress. The color, the golden sheen, how light it feels. Even its size. With a belt it looks even older than the early 1960s. It billows almost in the way of something from the late 1910s, or early 1920s. At least that’s the feeling I get. It makes me feel like I should be sitting on a porch on a hot summer night while it rains. Do I sound ridiculous? That’s how you know how much I love this dress. 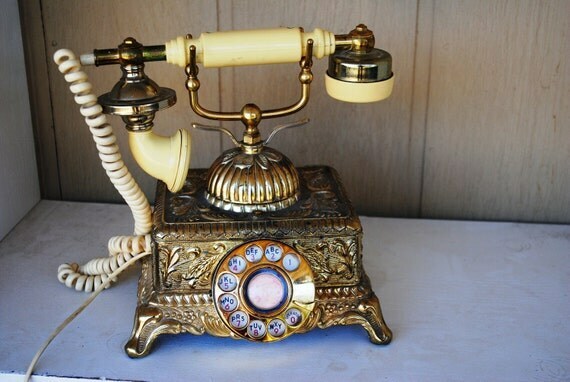 This is a phone I bought last Christmas for the owner of the Foxy Shoppe. She’s been an incredibly generous sponsor of Drawn and Plastered, and she’s such a great lady. I had to buy her something to thank her. I’m pretty sure this phone is from the 70s, but it was made to look like it’s from the 30s. When Pam opened the box she was speechless. It turns out it’s exactly what she’s been wanting since she first opened the shop. Now it sits out on display. And finally we come to my most recent purchase, dress from about 1958-1960 (according to the style of zipper) by Mr. Mort. It fits great except for a little room in the shoulders which I stitched up. 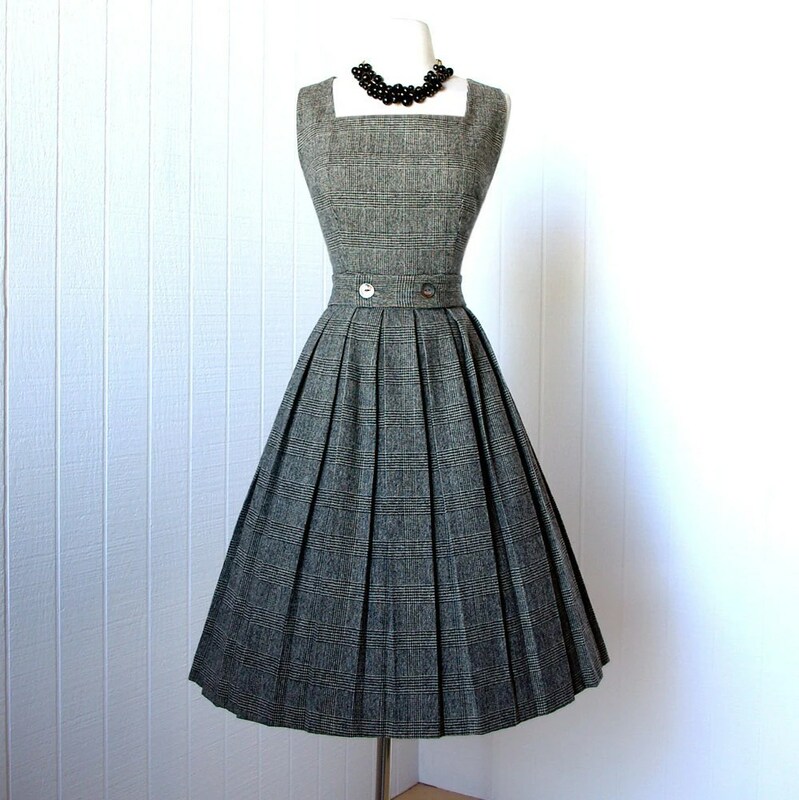 It seems to me like a poor girl’s version of that stunning tweed Dior dress Dita von Teese loves so much. All I’d need to complete the look is some long leather gloves. I wore it during the long day I spent traveling to Vegas, and felt like a lady Cary Grant or somebody from Mad Men. Traven7 is the very best when it comes to beautiful perfect vintage dresses from the late 40s to the early 60s with full skirts. Her prices are high but everybody knows she’s worth it. I’ve missed out on a few of her dresses before because they sold so quickly, but I’m so glad I finally got this one. Wow. It seems I got pretty excited there and rambled on a bit. Let’s say I save the rest for another post?